We may not subscribe to the White Queen’s idea of a daily half-hour of imagination practice or set our children homework to believe six impossible things before breakfast. However, if we ignore the importance of developing children’s imagination – and the other side of the coin, which is teaching imaginatively ourselves – we are likely to be far less effective with our classes, whatever their age. expressing and communicating their ideas (whether verbally, or visually through drawing, or kinesthetically through mime or drama). Children become more engaged in their learning. They feel greater “ownership” of what they learn. There is a higher level of involvement and participation. Children feel their ideas are valued. They develop greater self-confidence and self-esteem. They become more respectful of, and willing to listen to, others. There is increased humour and enjoyment in lessons. There are many different language-related activities that we can use to develop children’s imaginations. A few typical examples range from e.g. a simple mime activity with very young children Imagine you are a fierce and hungry lion, to inventing, designing, drawing and presenting a new electronic ‘gizmo’ or gadget for a class competition, to creative parallel story writing based on a previously read picture book, to collaborating in a group to create a dance to do as you sing along to a karaoke version of a favourite song, to acting out an imaginative role play e.g. between Little Red Riding Hood and the wolf next time she meets him in the forest. Imaginative activities can also be based around questions, for example, What would you rather be: the moon or the sun? or images, for example, interpreting what’s happened before or after a photo, or giving a title to a picture, or imagining what you just can’t see out of the frame. 1 It’s very hard for children (or indeed anyone) to be imaginative to order, or ‘cold’ as it were, and so we always need to provide some kind of stimulus, trigger or springboard which prepares children emotionally and cognitively for the imaginative activity we want them to do. 2 It can also be extremely frustrating for children if their imaginations far outstrip their language competence, so we need to have thought about how we will provide the basic language input necessary to do an activity, and be sensitive in responding to individual divergent language needs thereafter. 3 Teaching imaginatively doesn’t necessarily need to involve a radical overhaul in what we do. By keeping in mind all those little ‘Wh’ questions and using them in a way to open up rather than close down thinking, there is much we can do in an ongoing, every day way to encourage children’s imaginations to blossom and to take their learning further. For example, in the context of telling a story, simple questions such as What happened next? How do you think the story ended? Which character would you most like to be? Why? encourage children to think and engage imaginatively with the text. It would be great to hear about ways you develop children’s imagination in your teaching. Please do share! 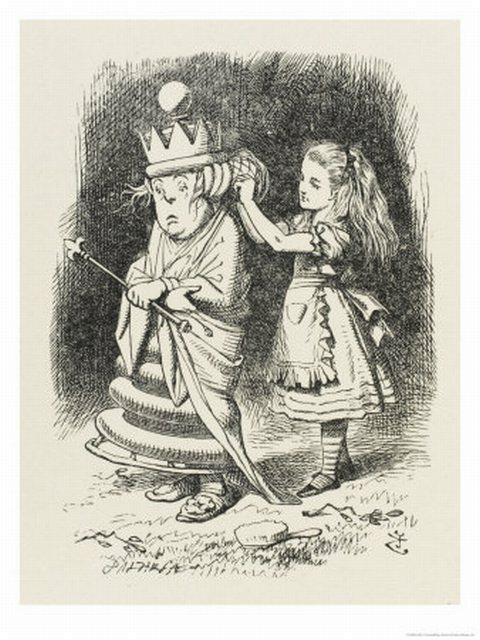 Illustration of the White Queen and Alice by John Tenniel. I love your reference to Alice. How fantastic! I can’t wait to see the new film. Imagination is sooooo important. I’m 37 and I daydream everyday I have a very active imagination. Imagination is undoutedly an important classroom tool for teachers of young learners and adults too. I guess kids are just more in touch with their imagination. Here is a perfect example. Last week I took a picture frame and a plastic microphone to class. I pulled out my microphone from my bag to a woop of delight! I passed it to my co-teacher who tried it and said “It doesn’t work!” I smiled at this and then passed the microphone to a child who eagerly spoke itnto it. Children and some adults obviously are capable of great leaps of imagination! We spent the first ten minutes of the class asking Leo Messi questions. Obviously Leo couldn’t come to the class in person. I brought a bright framed picture of him decorated with hearts. For the children this was enough. One child arrived late to kids shouting “You missed Leo Messi!” and later after I announced the next “Guest” there was great debate over who would play Hannah Montanna! Many thanks for your positive response and great contribution. I love your example of the plastic microphone and picture of Messi! It’s wonderful the way something as simple as that can trigger children’s imagination and lead to such rich and spontaneous language use. I think part of the secret is you i.e. the teacher, showing that you also imaginatively believe in the activity, as you clearly did in this case. If you show you believe in something – for example, something as simple as a class puppet who only speaks English, then the children will too. 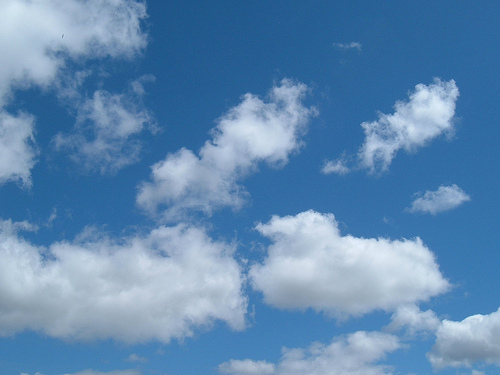 Many thanks also for mentioning daydreaming – something that can also be so important for ourselves as well as for children’s motivation in achieving short and medium term, as well as life goals. If we can visualize and imagine or daydream about what we want to achieve, then we are more likely to achieve it. What you say reminds me of the story about Monty Roberts of ‘The horse Whisperer’ fame. When he was a child Monty Roberts was apparently asked to write an essay about what he would do in the future. He had a very clear picture in his mind and wrote about owning a magnificent house and huge ranch with hundreds of horses. The teacher gave him an ‘F’ grade because the essay wasn’t realistic about what, according to the teacher, a child like him could ever hope to achieve. Monty was told to re-write the essay if he wanted a better grade. He refused, choosing to hang on to his dream rather than get the improved grade. Monty Roberts apparently tells the story when visitors come to visit his magnificent house and huge ranch with hundreds of horses – the message being that teachers don’t ever have the right to steal children’s dreams. Powerful stuff, don’t you think?! PS By the way different versions of that story have been published in several books, one is ‘Chicken Soup for the Soul’ by Jack Canfield and Mark Victor Hansen. I wanted to ask about your comment that “we always need to provide some kind of stimulus, trigger or springboard which prepares children emotionally and cognitively for the imaginative activity we want them to do.” Can you give me some ideas of things you might do to get the children warmed up to thinking creatively? I am thinking in particular about grade 5-6 students (my pre-school students wouldn’t have a problem with this!). I’m very much enjoying following your blog. Thank you for taking the time to share your experience and expertise! To answer your first question, there are a whole range of different things that can provide the initial stimulus, trigger or springboard to imaginative thinking – and Leah’s example of a plastic microphone and a photo of Messi is a great illustration of how this doesn’t necessarily need to be something elaborate or complicated. With grade 5 and 6 children, imaginative work that develops from stories is frequently a good way in – this can be either through creative writing based on or related to the story, or drama activities in which children imagine and develop the thoughts and feelings of the characters in a way which goes beyond the text of the story itself. As well as using stories as a springboard into imaginative work, lateral thinking puzzles or riddles often work well with grades 5 and 6, for example, if they are asked to work cooperatively to think of imaginative solutions to problems in pairs or groups, and then compare their solutions and decide which one they think is best. Children of this age group also very often enjoy (and are very good at) designing things such as computer games, board games, imaginary islands, futuristic cities, campaign posters, leaflets etc.. In terms of language preparation it really depends on your intended outcomes and how structured you want the activity to be. You could for example establish a list of questions that should get answered during the course of a role play, or you could build up a role play with the whole class first, modelling the process and feeding in the kind of language children are likely to need before they start working independently. Alternatively you could just brainstorm possible ideas with the whole class, perhaps noting a bank of potentially useful expressions on the board as you do this, and then see what they come up with and be ready to extend, add to and re-cast as necessary. Hope this helps a bit. Good luck with the start of the school year and with your play – it would be great to hear how it goes. Expectations are very important for us all. I love the Monty example. He saw what he wanted and he got it. I always say to teachers you have to have high expectations. If you expect children to behave they generally will. If you have high expectations you have a chance of achieving them. If you have no expectations you are less likely to achieve in life. I am a dreamer, and I expect my children to dream. No-one can take your dreams away from you! Look at Monty! I remember at 11 declaring to my mum that I was going to go to university and travel the world! (I came from a working family and I was the first person to go to university) Dreams are the stuff fairytales are made of! I’m so glad that example of Monty resonated with you – it always has with me too, and I think ‘stealing children’s dreams’ may happen more often than we realise, albeit unwittingly. I remember reading an article somewhere about Pedro Duque – the first Spaniard to go into space – and at school he’d also had his dream of being an astronaut slightly ridiculed and condescended to by his teachers and other adults around him. So glad that you were allowed to daydream and made it as the first person in your family to go to university – that’s wonderful. It’s interesting how important a factor day dreaming is in motivation theory – even though in the academic literature, for example Dornyei and Ushoda’s recent book on ‘Motivation, Language Identity and the L2 Self’ it’s called ‘visualising’ or ‘envisioning’ – i.e. positive daydreamiing without the connotation of wasting time! If you’re familiar with NLP at all, daydreaming is also something that is part of the Walt Disney Creative strategy – where the first position is dreamer position – what do I want?, the second position is realist position – how do I make this happen? and the third position is critic position – what could go wrong? A useful strategy for creative thinking in a team where different people have different strengths. I completely agree with what you say about expectations – it’s so important. If you have low expectations of children’s achievement and behaviour it becomes a kind of self-fulfilling prophecy. If you can’t quite convince yourself at first, one strategy (also from NLP) is to behave ‘as if’ they’re going to behave and do brilliantly, and this can also help to break the cycle, and they do. Thanks again so much for sharing, Leah. Enjoyed reading your entry on imagination and the comments left made me think of a book I’ve just read Extremely loud and incredibly Close by Jonathan Saffran Foer it’s brilliantly imaginative and describes the world as seen by a very imaginative and creative 9 year old gives a interesting insight into the unfettered imagination of children and the author uses creative visuals in the text which are really imaginative too. If you haven’t read it I’d highly recommend it. Hope to bump into you again soon on the conference circuit. Many thanks for writing – So glad you enjoyed the posting. The book you recommend sounds wonderful and I’ll definitely look out for it. Likewise look forward to bumping into you again soon – Thailand maybe?! Thanks for another great post! Reading your exchange with Alison reminded me of teaching children that age (grade 5/6), and a formula I used fairly often that generally worked pretty well. It involved stories, and was based on an idea from – as I remember – John Morgan and Mario Rinvolucri’s book on using story telling. The next stage was – usually – to give them some kind of framework. The best way of doing this I found was to structure the story for them in the form of some questions that they had to answer, their answers forming the basis of their own story. Of course there are lots of different ways of taking it forward from there – e.g. subtle changes to the question framework if there are quite specific outcomes, to give them more/less freedom. The lessons worked well as a whole, but those initial moments of cranking up their imagination, as they looked at the pictures in front of them and knew there was a story there, always created a great buzz. I’m missing the classroom after remembering all this! Thanks so much for writing and for sharing this great idea for engaging grades 5 and 6 in imaginative work. Thanks also for mentioning Mario Rinvolucri and John Morgan’s book on Storytelling which, although not written with children in mind, has some great activities which can be adapted to use with upper primary. I can imagine the buzz as children look for connections in the pictures to create a story. I can also envisage that their ability to respond imaginatively becomes increasingly agile if you do the same activity more than once using different pictures. Another possibility would be for the children themselves to decide on a series of pictures for others to create a story about. Thank you also for explaining the way you combined this imaginative work with providing learners with structured support to enable them to produce a coherent story. This is really important in terms of leading to a worthwhile outcome that also gives children a sense of achievement. The idea of using structured questions which, when answered sequentially, lead naturally to the construction of a story is a really useful technique. I’ve also used this technique sometimes when getting children to create poems, for example, about objects that I bring in to class, such as shells from the beach.